Parts House Lofts is located in the Walker’s Point neighborhood. It was originally built in 1921 and converted to condos in 2001. The complex holds 60 units with spectacular views from your urban loft space. Open floor plans with over sized windows and spacious living areas. Kitchens feature customized maple cabinetry and concrete countertops. 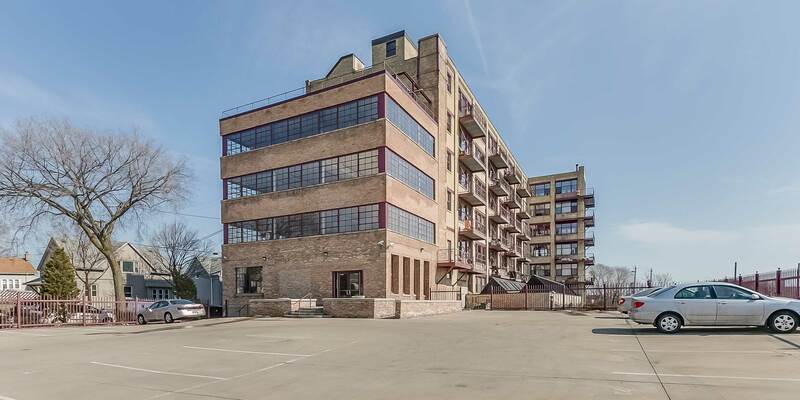 Hardwood floors, in-unit laundry, exposed brick and block walls, spa-like bathrooms, a wrap around balcony, generously proportioned closet space and much more.